Many readers might have fond memories of sitting in their parent’s basement, watching their favorite shows on the family television. We might be dating ourselves here, but the unit we remember was as long and deep as we were tall, and took at least two grown men to move anywhere. Alas, gone are the days of those giant boxes that were practically weighted and anchored into the floor. Advances in technology quickly saw the uptake of CRT televisions. Due in part to their front-heavy design, they were considered especially unstable and are considered especially dangerous when compared to the newest, flat-screened models which have a more even weight distribution and sturdier bases. Over the years, televisions have continued to get thinner and thinner, and as a result they are easier for little fingers to grab ahold of and aren’t always as stable as they could be. Coupled with the rise in home theatre systems and setups and the rising use of TV furniture, and you’ve got a recipe for increased injuries to children. With the progress in technology has come an increase in the number of injuries among curious tots crawling, climbing and pulling themselves on anything within reach – including the TV and TV stands. Due to the fact that flat screen models are easy to grasp, this means that they can easily tip forward with very little effort. Injuries caused by TVs falling onto kids (and adults) can include minor bumps and bruises, to more serious concussions and crush injuries, and in the most severe of cases even death. The Consumer Product Safety Commission’s (CPSC) National Electronic Injury Surveillance System (NEISS) estimates that there were more than 17,000 reported cases of injuries caused by televisions and TV stands that were treated in hospital in the United States in 2012. The number of actual injuries caused by TVs is bound to be quite higher than this, as the data from the CPSC only looked at those injuries which resulted in medical treatment at a participating hospital, and minor injuries were likely treated at home or another medical treatment facility not included in the reporting data. In fact, statistics show that a child has been treated every 45 minutes in the emergency room over the last 10 years due to a TV tipping over and that injuries have increased more than 30% as a direct result of television instability. From 2000-2011 there have been 215 deaths reported involving unsecured televisions, which makes securing them properly crucial to ensuring your children’s safety. There are several safety precautions that parents can take when it comes to setting up the family television in order to keep the little ones safe. Firstly, always ensure that you don’t modify the TV’s electrical plug in any way, and make sure the cord is securely plugged into the electrical outlet in order to prevent electrical shock or potential fires. Next, always be sure to check the stability of your television. If it tips or rocks with little effort, you’ll want to secure it in some manner, or perhaps move it to a more secure location. Be mindful that furniture can also be rocked (or climbed – drawers pulled out make excellent steps for little ones), which may result in your TV tipping over – so assess that risk factor as well. For CRT-style televisions, ensure they’re set up low and stable or consider recycling them for a newer flat screen model, and for flat-screen TVs you should seriously consider wall-mounting them in order to decrease the chance of tipping and toppling. 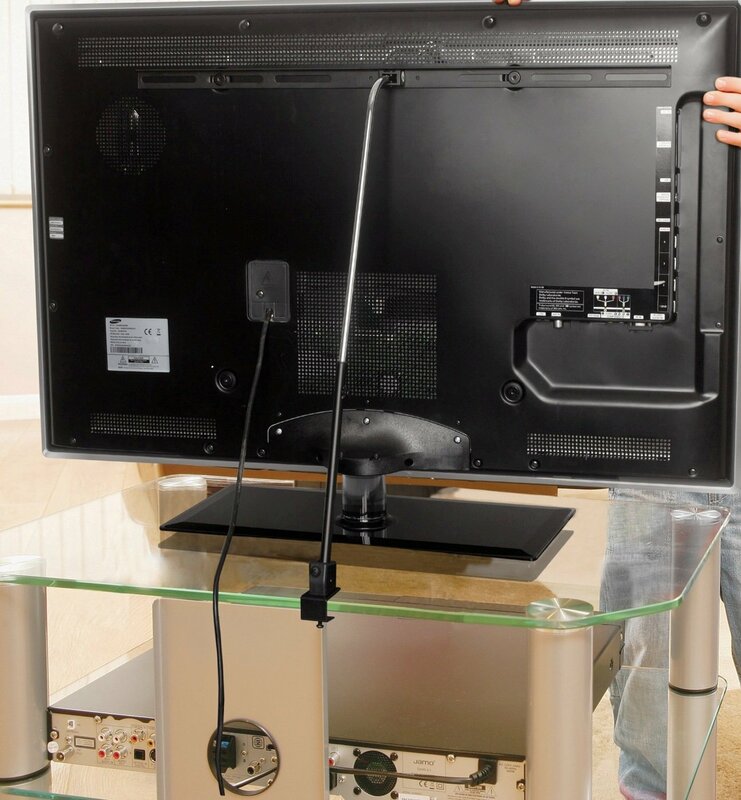 If using a TV wall-mounting kit, ensure that you follow the manufacturer’s instructions to have the best and safest fit possible. If your TV or mounting kit came with a warranty or registration card, be sure to complete the form and mail it in to the manufacturer. This way, you’ll be notified of any recalls or other safety information in the event of a problem with your model. Surveys done by Consumer Reports National Research Center show that most people seldom or never take this essential safety step. The best solution to keep the TV out of harms way is to mount it on the wall so there’s no chance of it toppling off stands. Manufacturer approved brackets, braces and wall straps should be used to ensure TVs are fastened securely. Install the TV where it cannot be pushed, pulled over or knocked down. In that same vein, route cords and cables connected to the television so that they’re out of reach and cannot be tripped over, pulled or grabbed by young children. If your only option is to place your TV on furniture, you can purchase products that allow you to “lock” your flat screen securely to the wall behind it. Similarly to wall straps, you can use anti-top straps to secure your TV to the top of the furniture it’s resting on – but the stand needs to be heavy enough to support the weight of your television. Also, never place the television on furniture that can potentially be used as steps, like a chest of drawers. Always use a mount, attachments and accessories that have been recommended by the TV manufacturer and have a safety certification by an independent laboratory (such as UL, CSA and ETL). It’s crucial that the wall or ceiling that you are mounting your television on is appropriate – some mounts are not manufactured to be mounted onto walls or ceilings with steel studs or cinder block construction. When wall mounting, make sure you have at least one other person to help you to prevent potential accidents from the TV’s heavy weight. Select a place with no direct sunlight to prevent reflections and good ventilation so it doesn’t overheat. Lastly, always use service personnel if you’re not completely confident in your abilities to correctly mount your TV. With the above safety tips and information in mind, in no particular order here are 25 TVs, TV wall mounts and other safety products that we consider to be some of the safest for families with small children. If wall-mounting your television is not an option, this anti-tip strap can help to secure your TV and keep your family safe. It’s also an incredibly economical choice for ensuring your TV doesn’t tip over. 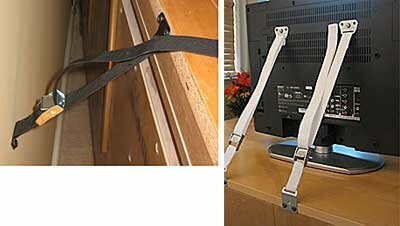 This safety strap system is available in either black or white to match your home decor and television. It securely holds your TV in place attached to furniture or the wall in order to help prevent tipping accidents. 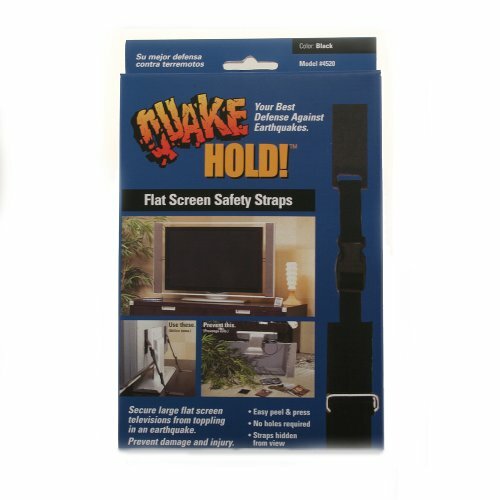 Ideal for use in areas where earthquakes are a concern, this safety strap is tough enough to secure a television up to 60 inches and 100 pounds. Thanks to their peel-and-stick adhesive, they install quickly and easily. 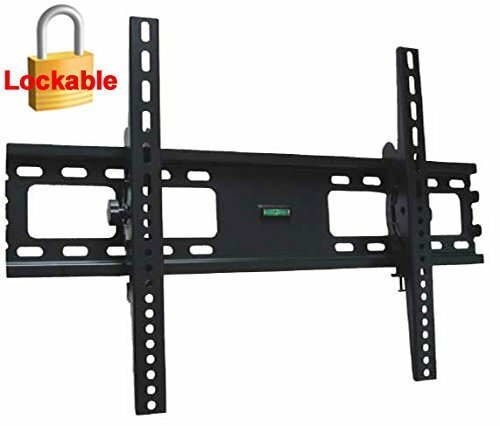 This fully adjustable unit lets you secure televisions from 32-60 inches in size and can be directly screwed into either your wall or furniture in order to provide the ideal solution for your family. 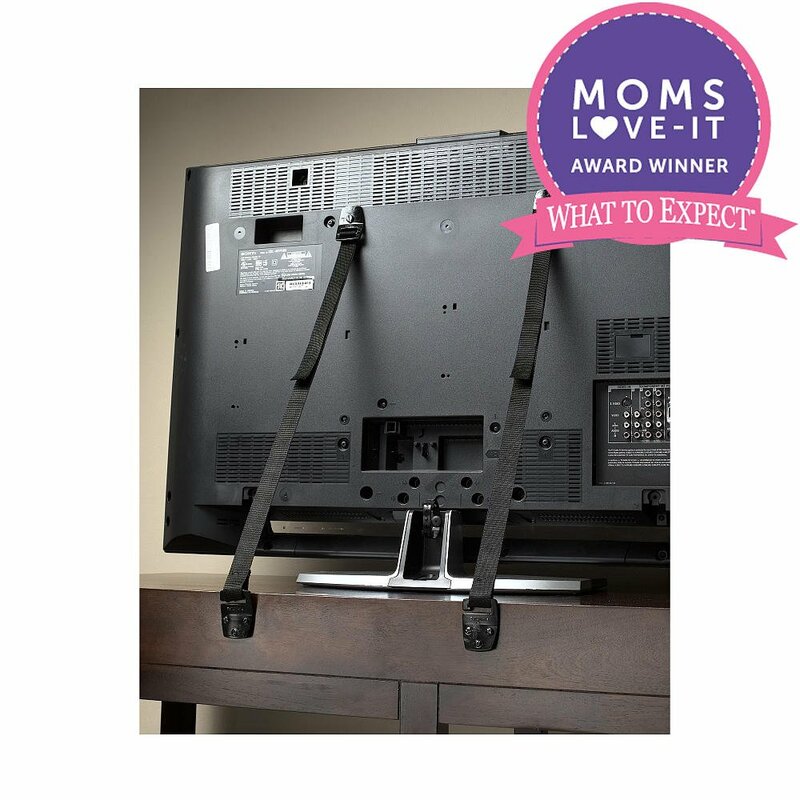 A “What To Expect Moms-Love it Award” award-winner for 2014, this anti-tip TV strap kit is an economical choice that can give you peace of mind when it comes to preventing accidental tip overs. 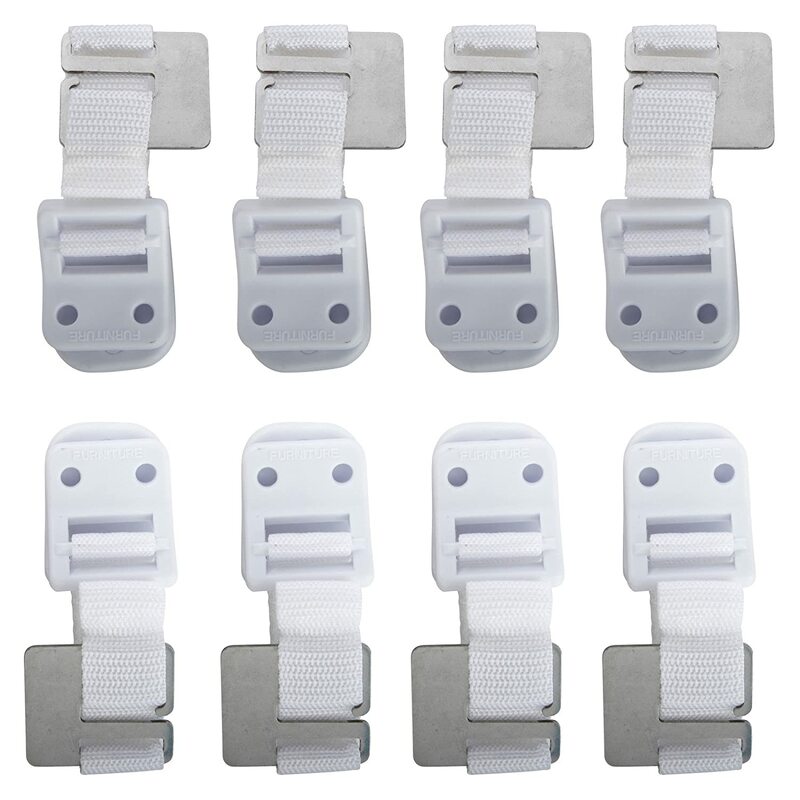 Available in 2-, 4-, 6- or 8-packs, these furniture wall straps are a smart and economical way to quickly and easily secure television furniture to the wall. You will still need a strap to secure your TV, but these will help to ensure thin or unstable furniture does not topple over. 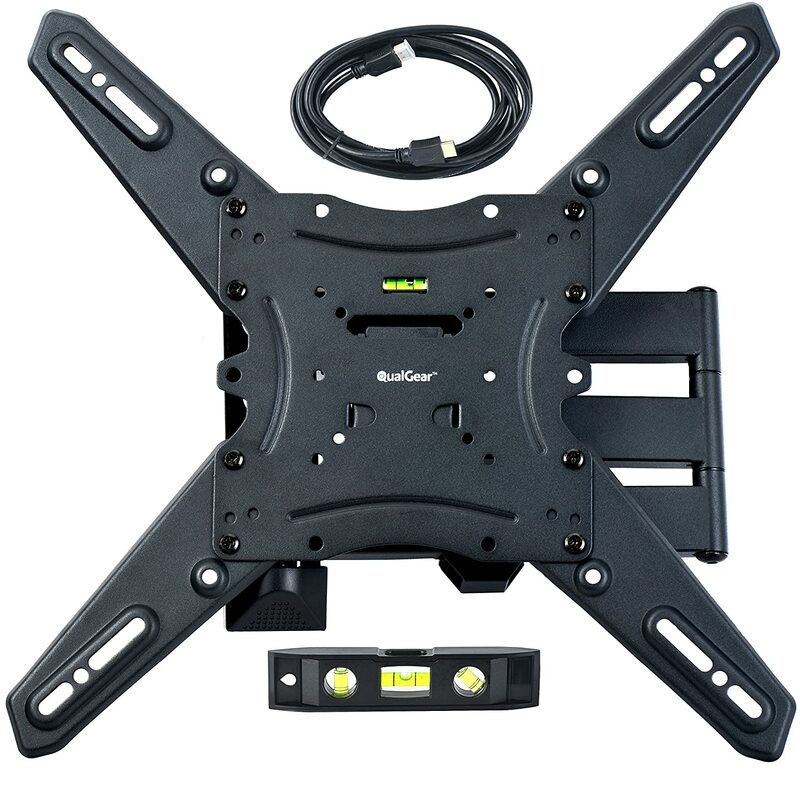 This wall mounting kit is ideal for both computer monitors and flat screen televisions, from 12-24 inches and up to 40 pounds. It even comes with an HDMI cable for wiring and installation, and a bubble level to help ensure a level installation. Thanks to its ultra-slim design, this wall mounting bracket will help your TV blend in seamlessly with the rest of your home. 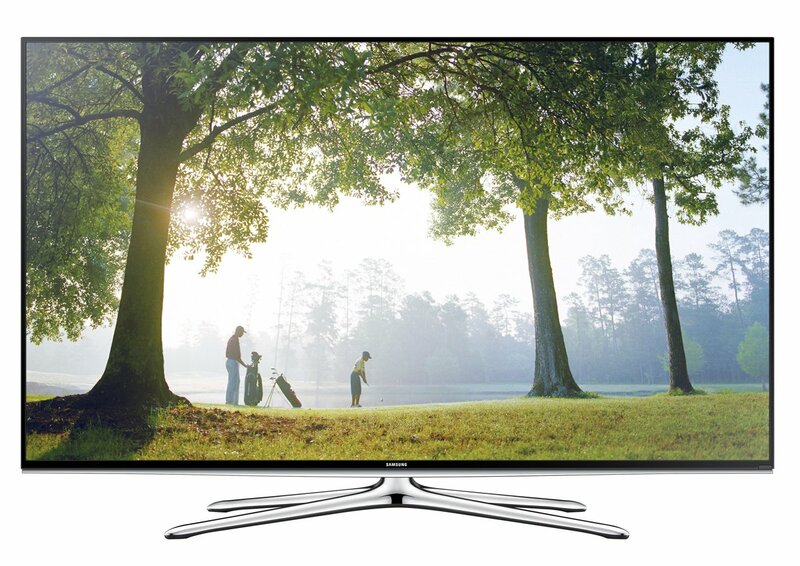 It’s ideal for use with televisions from 26-52 inches and up to 88 pounds. 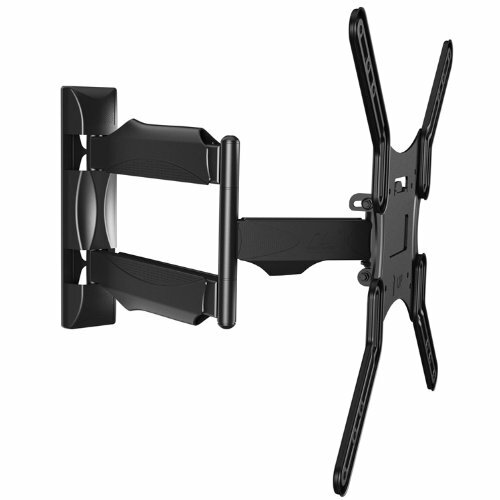 Thanks to its increased extension range, this wall mount is ideal for larger televisions and can accommodate those from 37-80 inches. 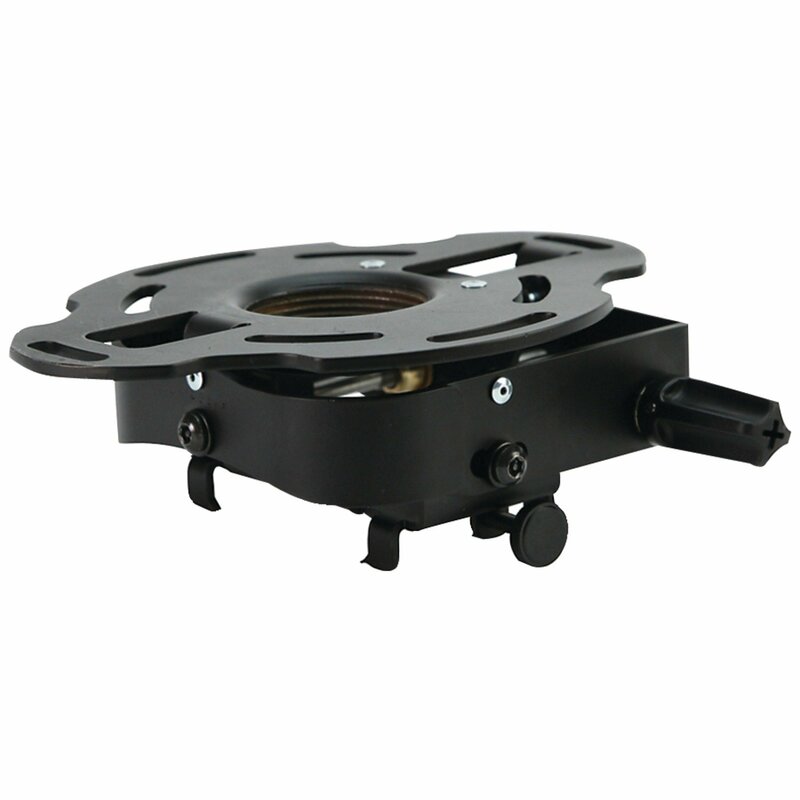 A large opening on the back panel of the mount lets you run wires and cables safely. While not frequently thought of when it comes to home television viewing options, projector TVs can be a safer choice for families when the projecting unit is mounted on a ceiling and out of little one’s reach. 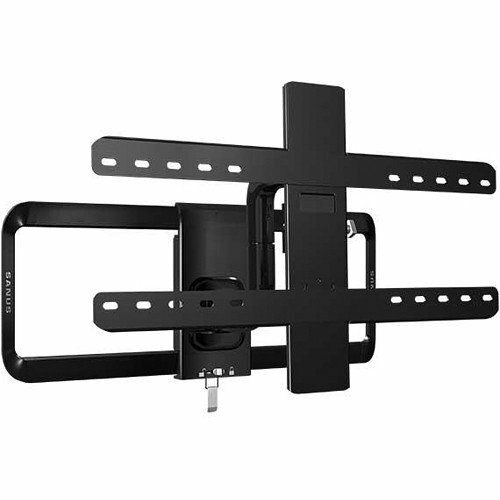 This wall mounting unit is perfect for televisions from 40-65 inches and is easy to install while providing a sturdy mount for your flat screen TV. 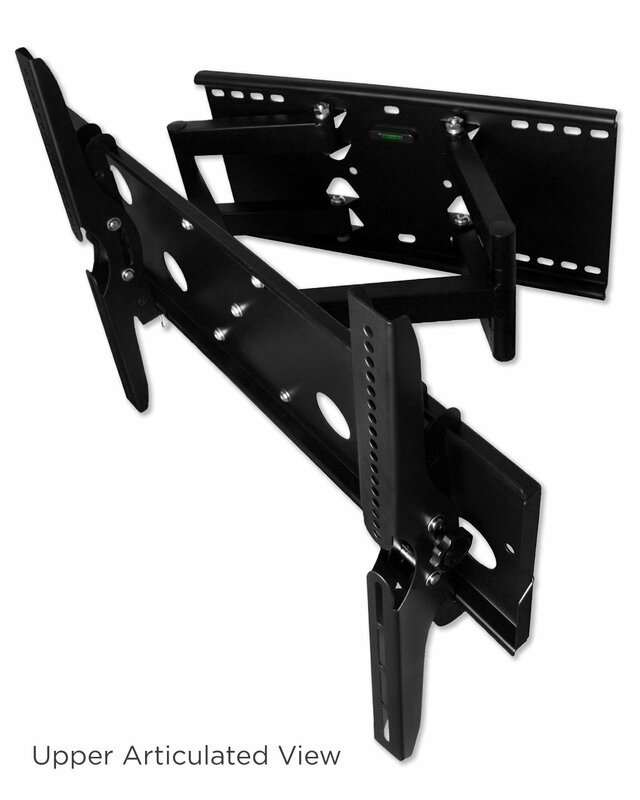 Ideal for LED, LCD and plasma televisions from 32-65 inches in size and up to 165 pounds, this heavy duty wall mounting system is fully adjustable to give you the best viewing angle. 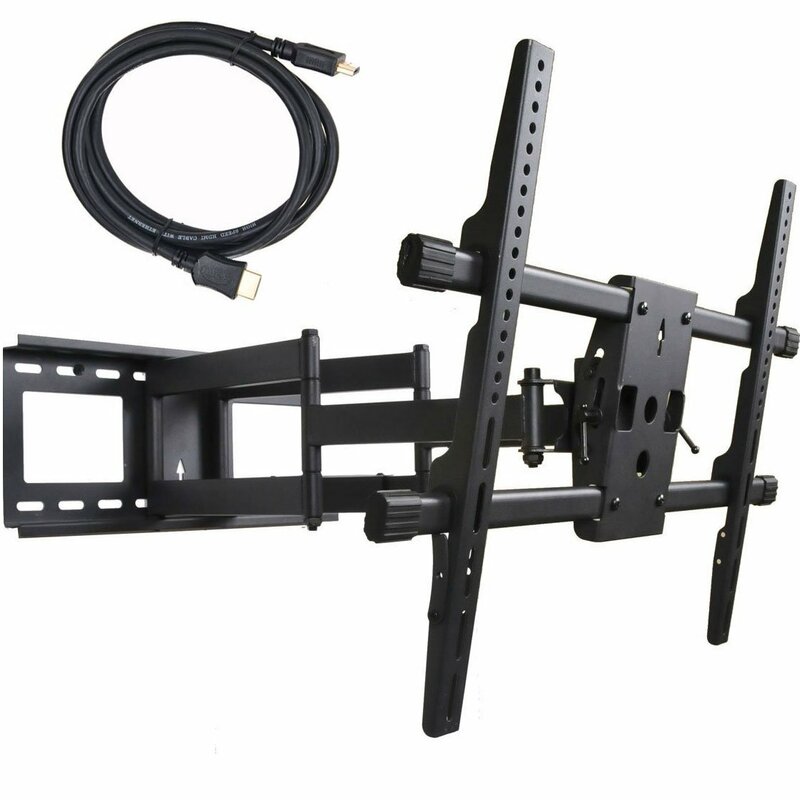 Compatible with a variety of popular television models, this wall mount features a heavy duty double arm design and is fully adjustable thanks to tilt, swivel and articulating capabilities. 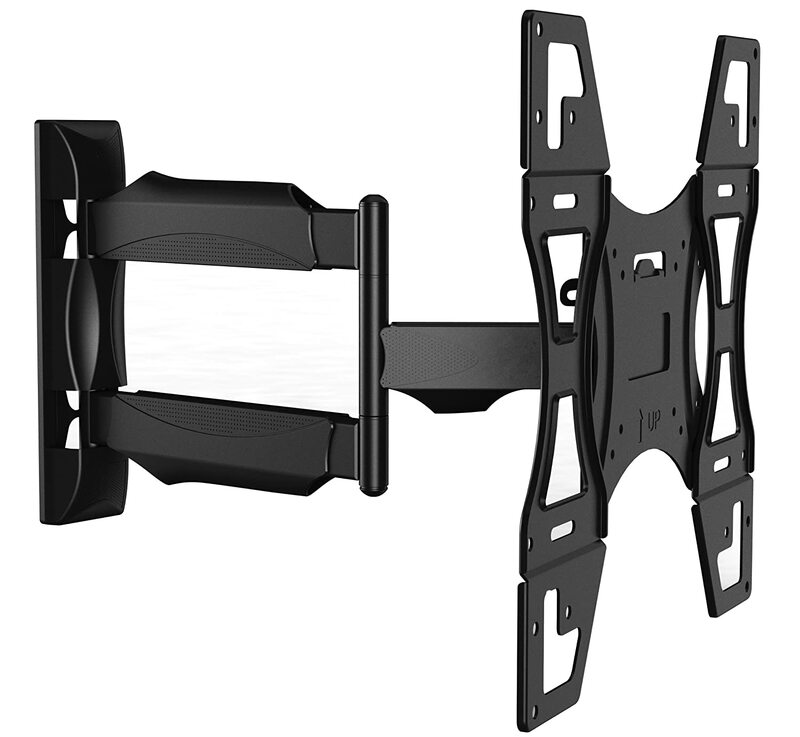 Ideal for a host of popular television brands including Sony, Samsung and Panasonic, this wall mounting kit boasts a heavy duty design that can fit TVs from 32-60 inches in size and is very easy to install. 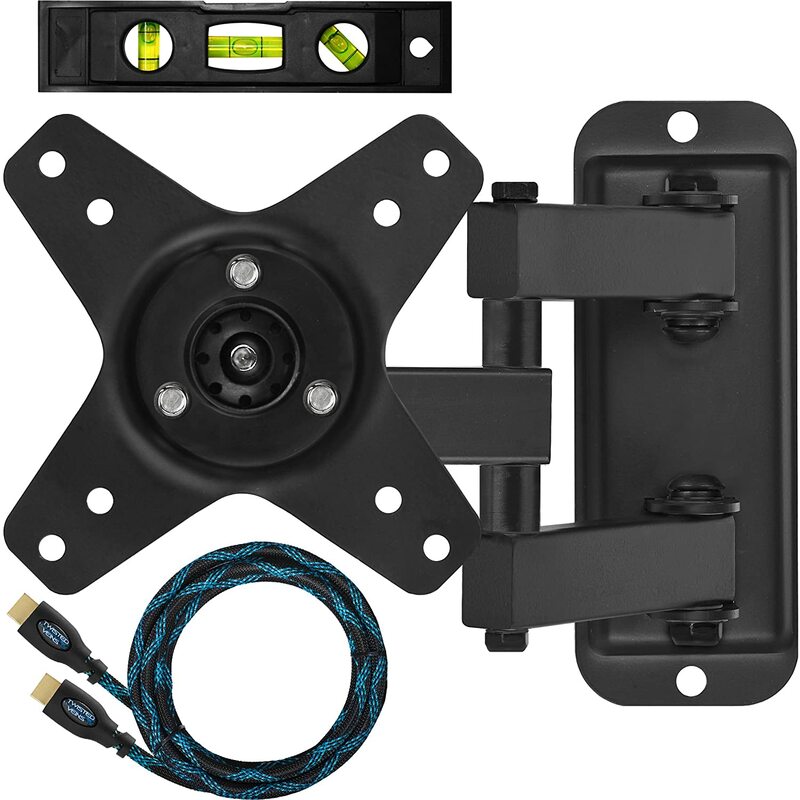 This wall mounting kit is compatible with TVs from 23-47 inches in size and weighing up to 66 pounds. 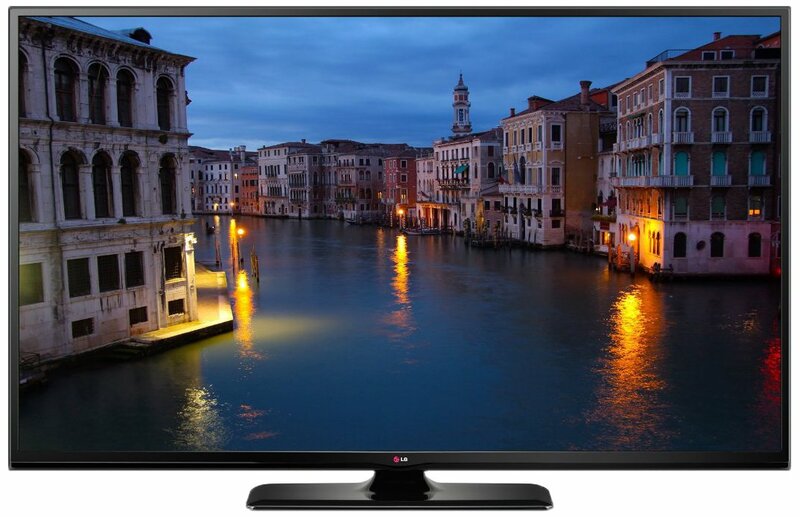 It also works with select 55 inch LED and LCD televisions. Find the ideal viewing angle thanks to its three point pivot design. 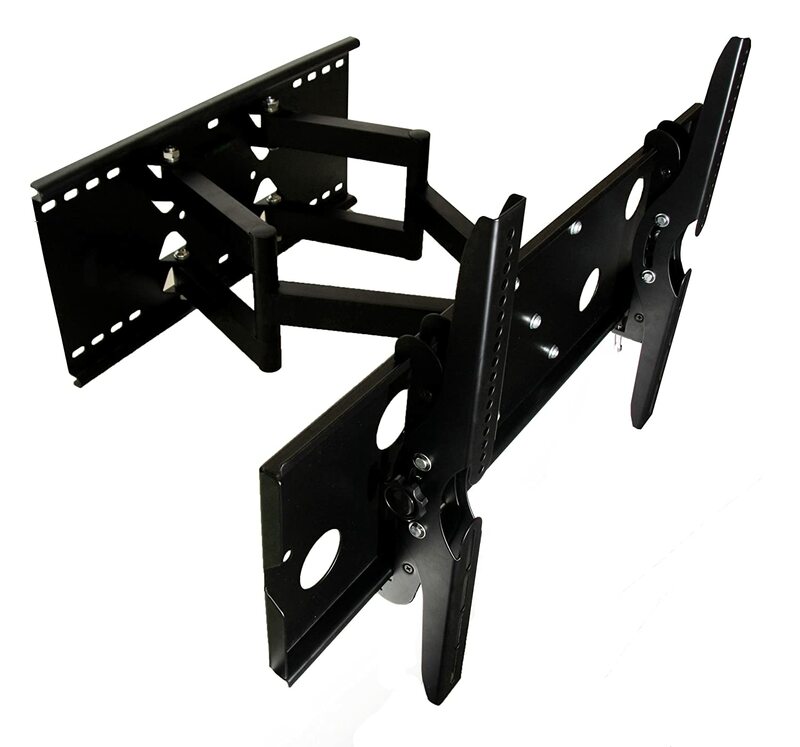 Thanks to its heavy duty steel construction and powder coated finish, this television wall mount fits most TVs from 32-65 inches and up to 165 pounds in weight. 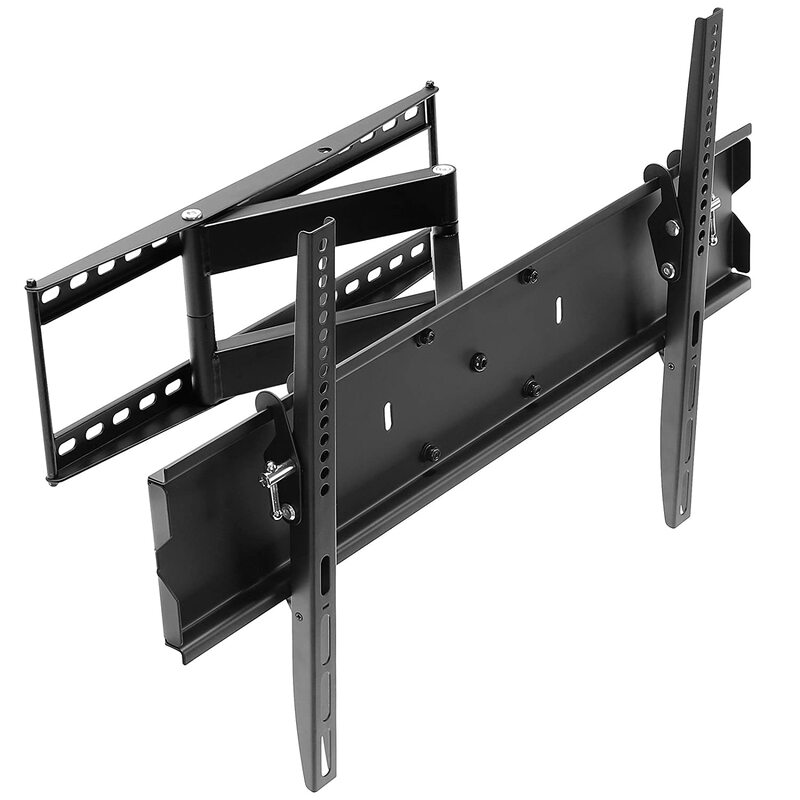 Fitting most televisions from 32-60 inches in size and up to 120 pounds, this heavy duty wall mount is made from high grade quality steel and offers side-to-side sliding and tilting to help you find the perfect viewing angle. 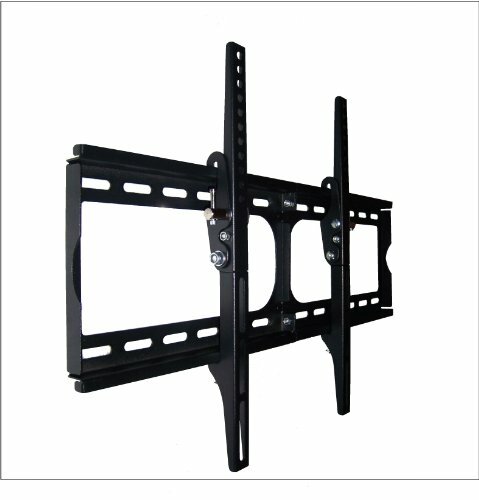 An economical choice for wall mounting your flat screen TV, this unit fits models from 32-52 inches in size and weighing up to 80 pounds. 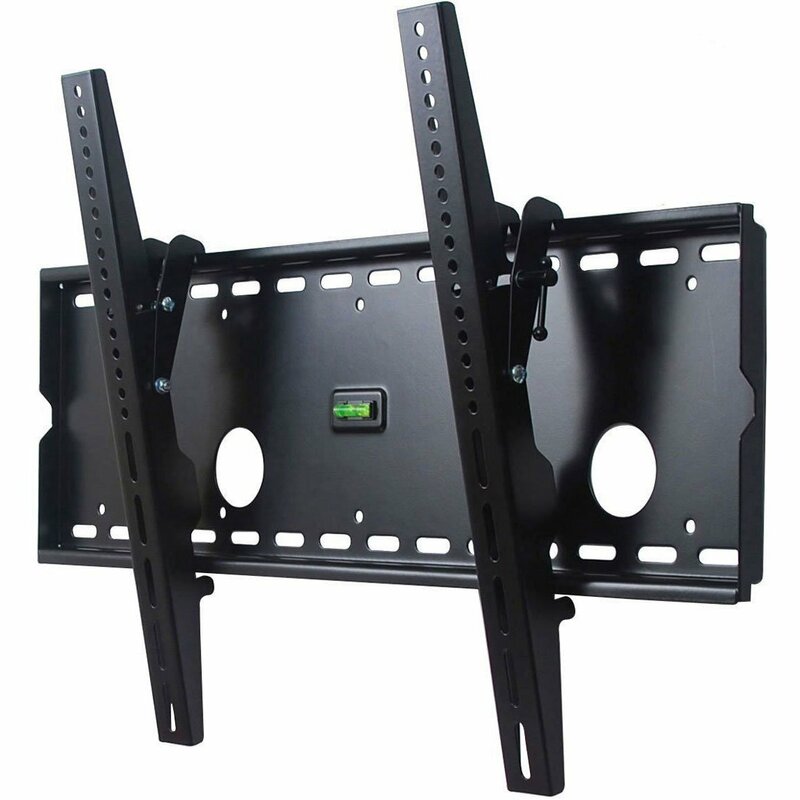 Thanks to a solid backplate and verticals design, this wall mount requires no assembly and features a heavy duty design that is an ideal fit for up to 98% of televisions from 30-80 inches and weighing up to 165 pounds. 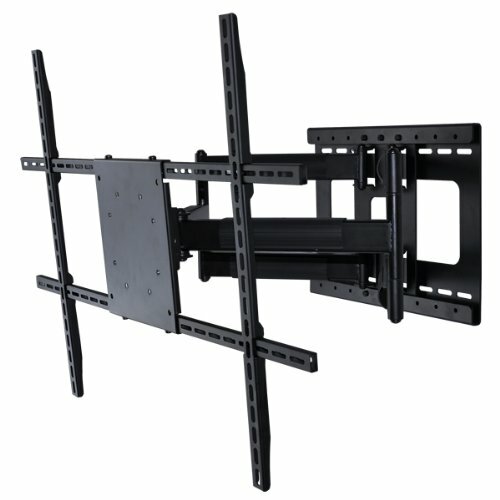 Securely mount televisions from 51-70 inches and up to 125 pounds in weight with this fully articulating wall mount unit. Adjust to find the perfect viewing angle quickly and easily – no tools required. 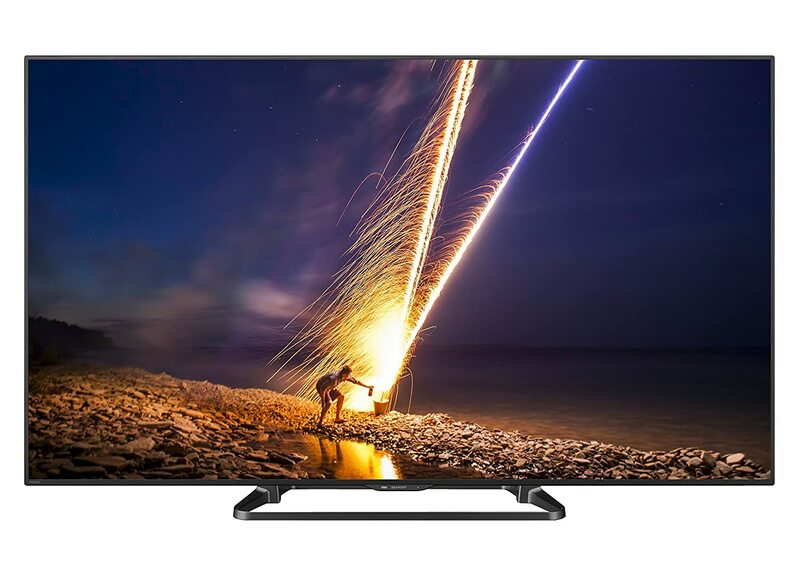 This 60-inch flat screen LED TV boasts a faster 120Hz refresh rate, to help display the highest quality picture possible. It also comes with a suite of pre-installed smart apps including Netflix, YouTube and Facebook, so you can stay connected while watching your favorite shows. 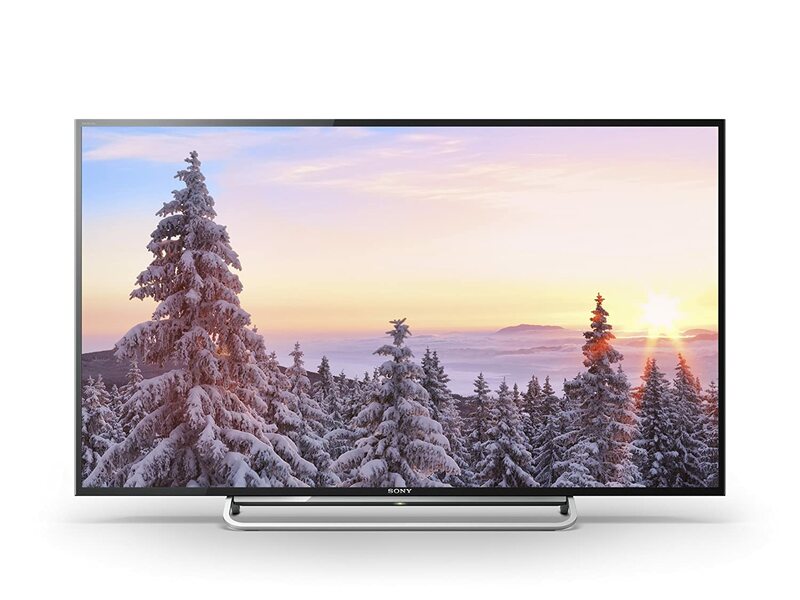 With its sleek design and high quality pictures, this smart LED TV is perfect for families and features built in apps and HDMI and USB ports. A table top stand is included but it also weighs in at just over 20 pounds, so it can easily be wall mounted as well. Available in a variety of sizes to suit your family’s needs, this Smart LED TV boasts a super fast refresh rate and built-in connectivity. It’s also Energy Star rated, so it won’t cost you an arm and a leg to run. Experience the stunning picture quality of 4K TV with this ultra HD unit that is 4 times clearer than ordinary HD models. While it’s a heavier unit at 105.9 pounds, it still falls well within the acceptable limit for a majority of wall mounting kits. 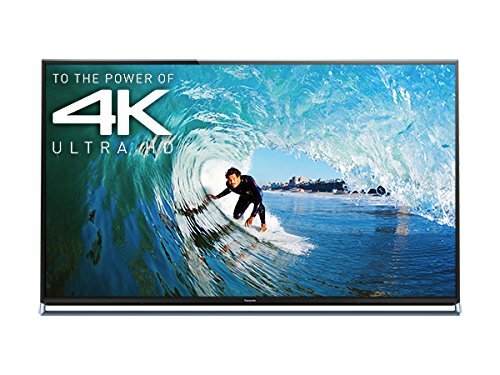 Available in 50- and 60-inch sizes, this plasma flat screen TV features built-in smart functionalities and picture perfect bright and clear images at an affordable price. Weighing in at just under 55 pounds, its lightweight design makes it ideal for wall mounting out of harm’s way.